In 2016, you were not the president of Ghana. The highest political position you had held was a minister of state. But my respect and admiration for you was not about your ministerial position. It was about the enviable height you attained as a staunch defender of the rule of law and a campaigner for human rights. These were ideals you espoused and lived for in the darkest moments of our nation’s history when the price for speaking up was so high that only daredevils dared to challenge the oppressive regimes. It is contradicting you, Mr. President. Mr. President, when I was growing up in Kete-Krachi, I never saw any police or security officer armed at a polling station when national elections were held. When I came to Accra and started reporting on elections, most of the police personnel and their counterparts from the immigration, prisons, fire service and others do not go to polling stations armed. Only those called to fuel confusions or riots are armed. Yesterday, however, a by-election in one of the elite constituencies in the Ghana witnessed an indescribable level of intimidation from men who were armed as though they were going to free hostages held by terrorists. These merchants of national insecurity came masked, but when photographs of some of them posing with photos with their party people later appeared on social media, they were easily identified. One of the men who was wielding an AK47 assault riffle was linked to the New Patriotic Party’s (NPP) National Organiser, Sammi Awuku. Photos of the man and Sammi Awuku appeared on social media. Sammi is my friend so I personally reached out to him to verify. He denied the man was his driver, but confirmed that the said guy was with him in opposition and while he campaigned to become the National Organiser of the NPP, this young man was with him. He, however, confirmed the young man now works with National Security. The trigger-happy masked and armed men shot and wounded some persons. There are videos of them rampaging and assaulting opponents, including the member of parliament for Ningo Prampram, Mr. Sam Dzata George. 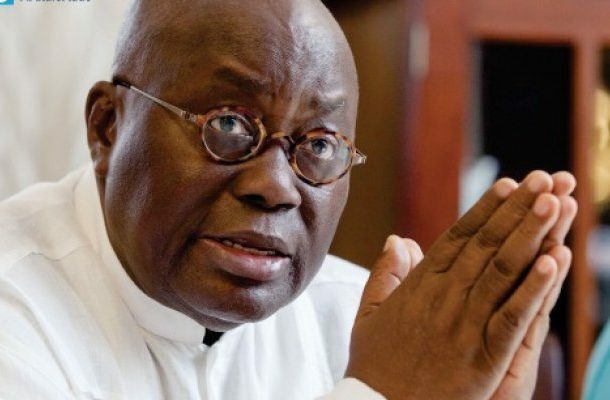 Mr. President, some of your people and party members with sadistic instincts may see yesterday’s brutality as crushing the National Democratic Congress (NDC) and a warning to them ahead of the 2020 elections. But, Sir, you have to see this differently. Recently, you took all the glory for the peace process in Dagbon, which started 17 years ago. You cannot, therefore, be resolved of any responsibility in the current mess. All the persons involved in recruiting, training and deploying the merchants of national insecurity are your appointees. The police, the national security coordinator and ministers as well as all those who matter in keeping us safe are your appointees. I hope you remember that advice and the fact that some of us value the Akufo-Addo of 2016 higher than the President Akufo-Addo of 2019.